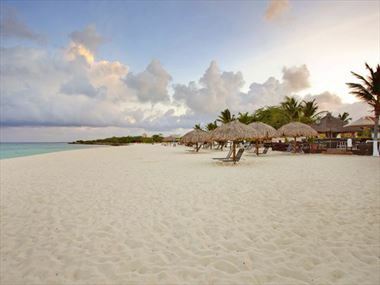 Blissful beaches, an amazing year-round climate and a vibrant ambience - Aruba has it all. 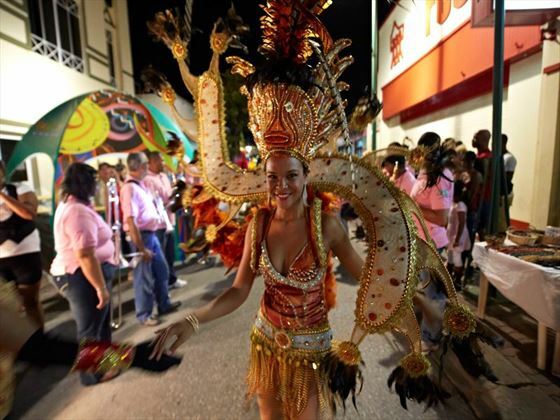 This lively destination is infused with a number of cultural influences to create a charming location, coupled with the laid-back atmosphere that the Caribbean is known for. 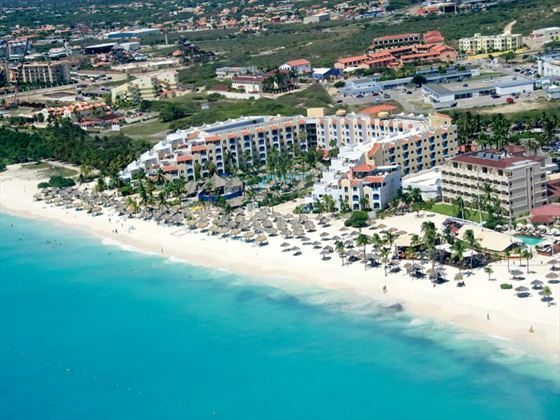 The Barcelo Aruba is a lively, all-inclusive resort set on a beautiful stretch of white-sand beach within a grove of gently swaying palm trees. 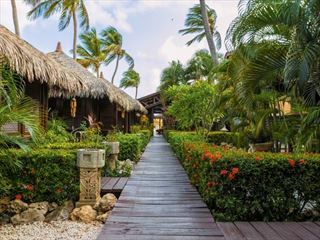 The 4*+ Bucuti & Tara Beach Resorts is one of Aruba’s most romantic getaways, offering complete relaxation in refined, chic surroundings and excellent on-site spa facilities. The Divi Village Golf & Beach Resort is an amateur golfer’s dream come true - incorporating a family-friendly deluxe beach resort with an on-site nine-hole course including an attached club house and two restaurants. Nestled on the pristine sands of Eagle Beaxh, this lovely boutique hotel boasts a beautiful spa and divine cuisine. 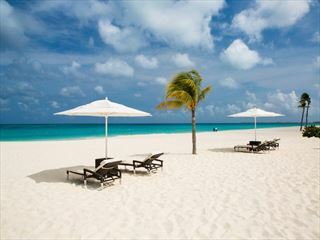 Famous for its miles of scenic beaches and year-round sunshine, Aruba is alive with music, fun and energetic charm. Deep blue skies, green palms, silvery sand and transparent, turquoise-tinged ocean – this Dutch-influenced island offers the perfect pallete of dreamy Caribbean colours. Palm Beach and Eagle Beach on the north coast are two of the most popular destinations, offering stunning white sand beaches. 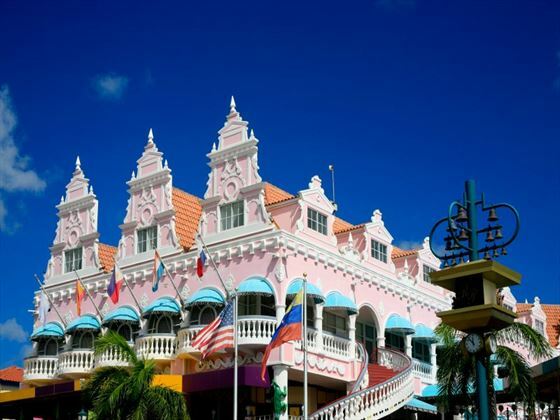 They are perfect for relaxation mixed with day trips for the shopping and cultural intrigue of the capital, Oranjestad. 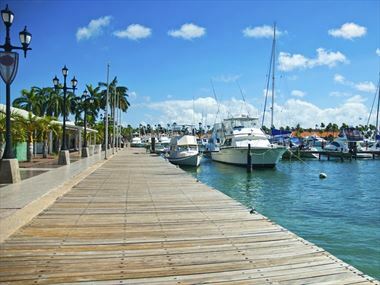 Floating off the coast of Venezuela, Aruba is one of the most unusual Caribbean nations in terms of its history and cultural influences. 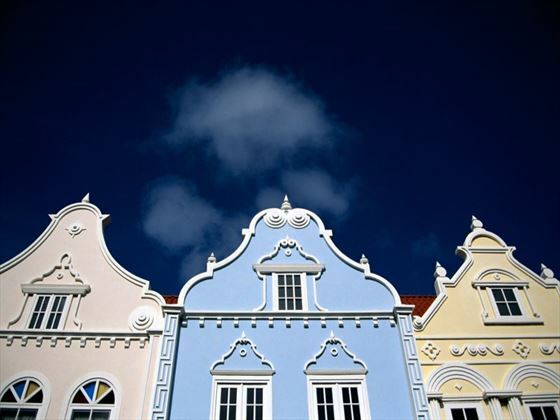 Once a Dutch colony, much of the architecture smacks of a town in the Netherlands bathed in pastel colours. But walk the streets and you’ll notice unmistakable Yankee sensibilities in the cuisine and lifestyle – it’s very reminiscent of the USA. And undoubtedly its proximity to Latin America has added a little Hispanic fizz to proceedings. This creates a charming blended heritage that’s both quintessentially Caribbean and utterly unique. 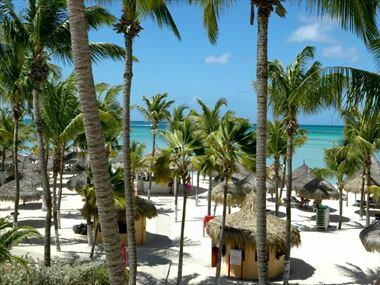 Aruba is surrounded by a ribbon of blissful beach that you can enjoy in the year-round sunshine – this really is a destination that you’ll love any time of year. The most popular area surrounds Palm Beach and Eagle Beach where you’ll find high quality resorts and a great mix of local and international restaurants. But if you’re looking to get a little more active you can head north, near Malmok Beach, where you’ll find great sites for scuba diving and an 18-hole golf course. 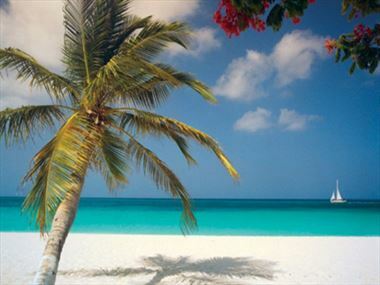 There are a wide variety of things to see and do whilst staying in Aruba. Check out our travel guides for some of the highlights, top tips and travel inspiration from our Tropical Sky Experts, along with some essential information you may need for your holiday. 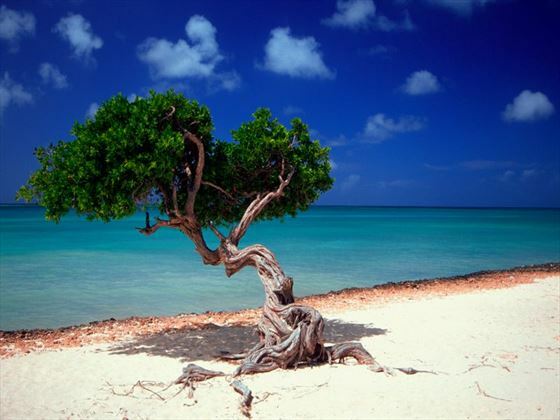 Aruba boasts a fascinating history that sees natural tropical beaches merge with global cultural influences. 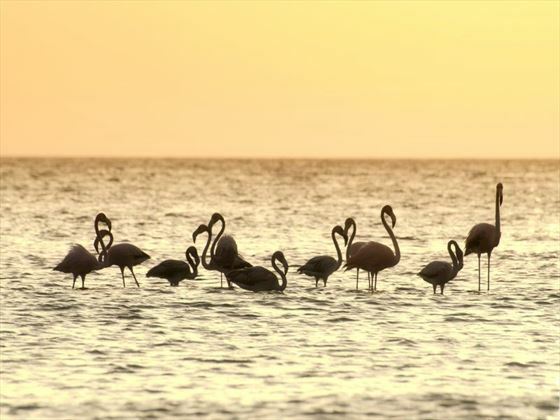 Aside from the stunning beaches and friendly atmosphere that most Caribbean islands boast, Aruba offers something a little bit different, find out what it is with our beginner's guide. 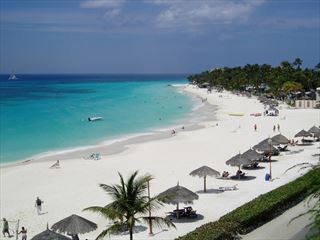 Pre-booking your excursions is a great way to ensure you do everything that excites you in Aruba. 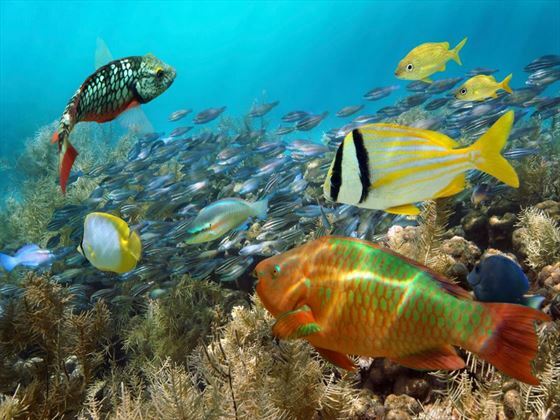 From snorkelling to island hopping, our activities add extra pizzazz to your Caribbean getaway. 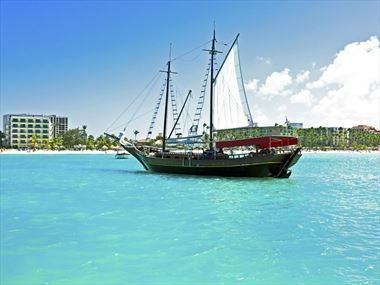 From the picturesque coastal bays to the architectural delights, Aruba promises a holiday jam-packed full of sun, sea and history. 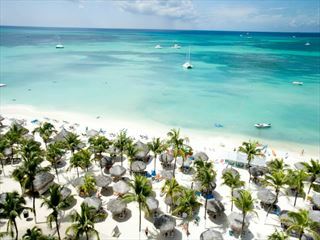 What will you get up to on your next Aruba holiday? 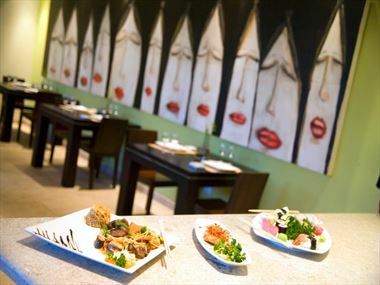 The capital of Oranjestad hosts some fantastic dining options, from familiar international flavours to tasty local dishes. 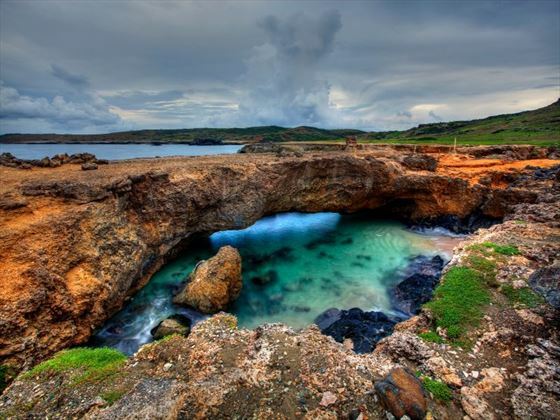 Explore the natural side to Aruba, found in the form of sugary beaches, the beautiful Arikok National Park and exotic marine life.